Approximately 1 oz. bag dried calendula flower whole (Calendula officinalis). Calendula flowers can be used as a herbal teas, tincture, herbal salves, in skincare products, soap making and infused oils. Calendula is also known as Pot Marigold. I love these calendula flowers. They look and smell amazing. Infused oil and incense...here I come! Thank you Wendy! Wonderful flowers, thanks! Looking forward to using them. 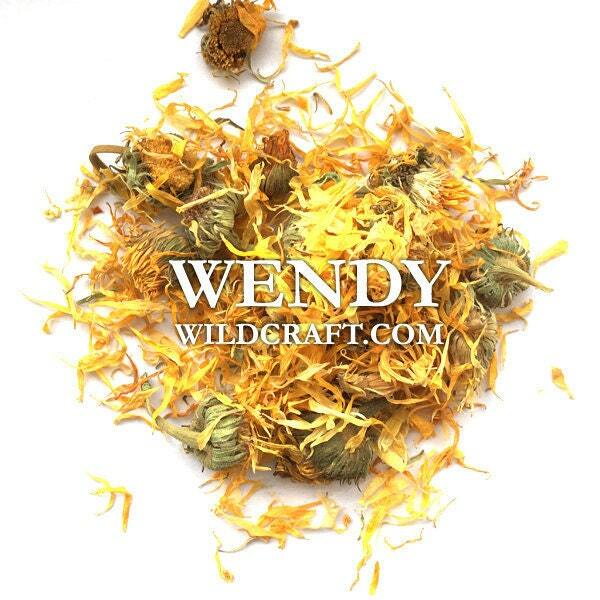 Quality dried Calendula! Professional customer service! Definitely i will be a returning customer! Thank you Wendy Wildcraft!